Like many you've heard on my show, someone gets sick, they find a cure that works for them, and then they go on to champion their discovery. My guest Mary Retlich has gone through illness and found a doctor whose natural treatment was a major factor in her healing. So on June 30th she is hosting an event that is free to all who wish to attend and will feature Dr. Patrick Flynn and Dr. Melissa Vandermission. The event will be held not far from here at the Terrace Bay Inn on June 30th from 6pm to 9pm. The topics covered that night will be optimism and health, nutrition, and how hormones affect all aspects of wellness. Mary also has learned to heal with essential oils, she feels they make a huge difference. On this show we discuss how your attitude in dealing with life's stresses has a lot to do with our illnesses, some say, "We bring on our own illness." Recently you've heard me talk with Faye Hueston and Tommy Rosa about their healing experiences, and yet it's a bit different for everyone. Something that works for one may not work for another, why is that? Different body make ups, different attitudes, but mainly I just think it is our belief that is so powerful, we create disease and I truly believe we create health. Mary is a joy to talk to and I admire that she feels the need to take the next step to help others from what she's learned. Some say we all have a greater path, I believe we do, it is up to us to choose to figure it out and to choose to respond to make a difference. And by choosing not to respond, I think that's fine as well, not everyone wants to make that choice. 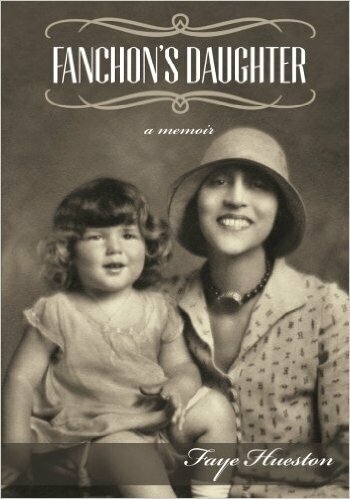 Faye Hueston is back this week talking about her first book, Fanchon's Daughter. I got the book a few weeks ago and couldn't put it down. I loved it's historical content. Fanchon was Faye's adoptive mother who became a very successful woman in her own right in the 1920s and 1930s. Fanchon gave Faye a life she could only dream of. Her adoptive father Bill was a successful man as well and while Faye often challenged her father, they loved each other. At some point Faye became interested in contacting her biological father, thus her journey began with a well known psychic in England. To me this book is three things, Fanchon's ability to succeed in a male driven world, she was a pioneer in her field. Her story is amazing, the people she worked with in Hollywood, her undying love for her adopted daughter. The second is the psychic connection that led Faye to her birth parents. Faye was a non believer but after her experiences with the psychic realm her beliefs changed. And the third part of this book is dealing with being adopted or adopting others. The few that I've known that have been adopted have often felt they needed to know why they were given up, some felt empty inside. I think Faye offers a unique perspective on this from all sides of the aisle. I truly enjoyed talking again with Faye about her book.